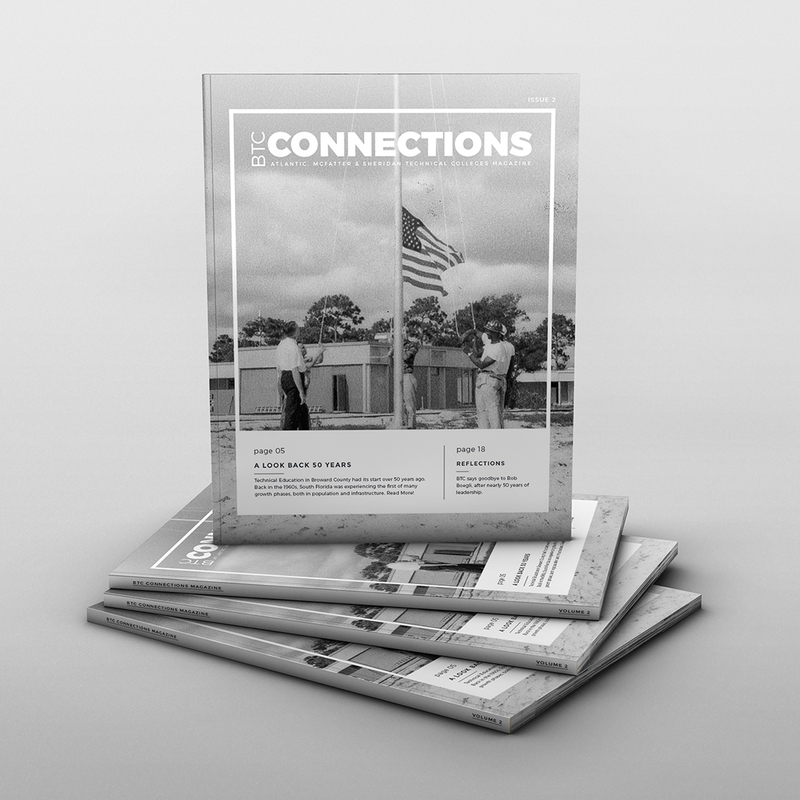 BTC Connections Magazine – Hey there, I'm Gabriel. BTC Magazine is a product of some of my time working at the Broward Technical Colleges as an Instructor. 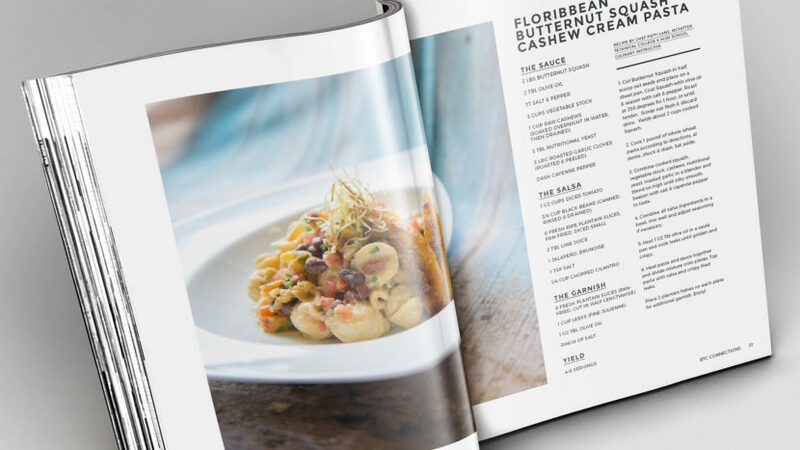 The Magazine is meant to annually highlight events and news from the past year, and includes monthly recipes hand picked from the Instructors of the Culinary programs. They had me at recipes, honestly. 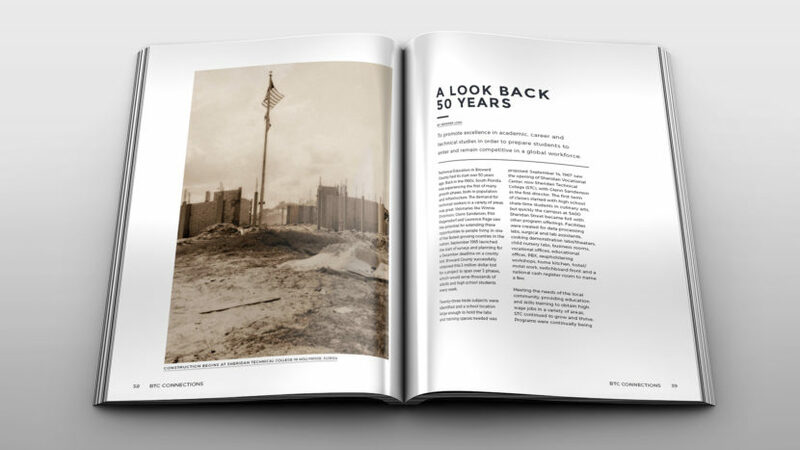 Once the project got started, the identity and design of the magazine began to shift to an sleeker more modern design, which is right up my alley. 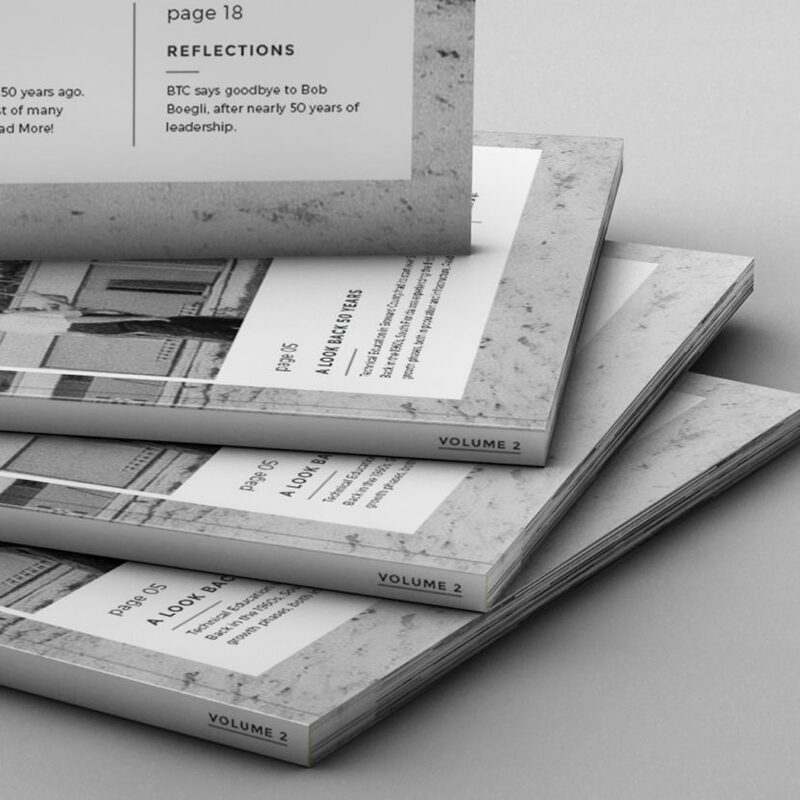 That’s where I jumped in as the Creative Director of the Project, and produced this minimal and modern design for the magazine. 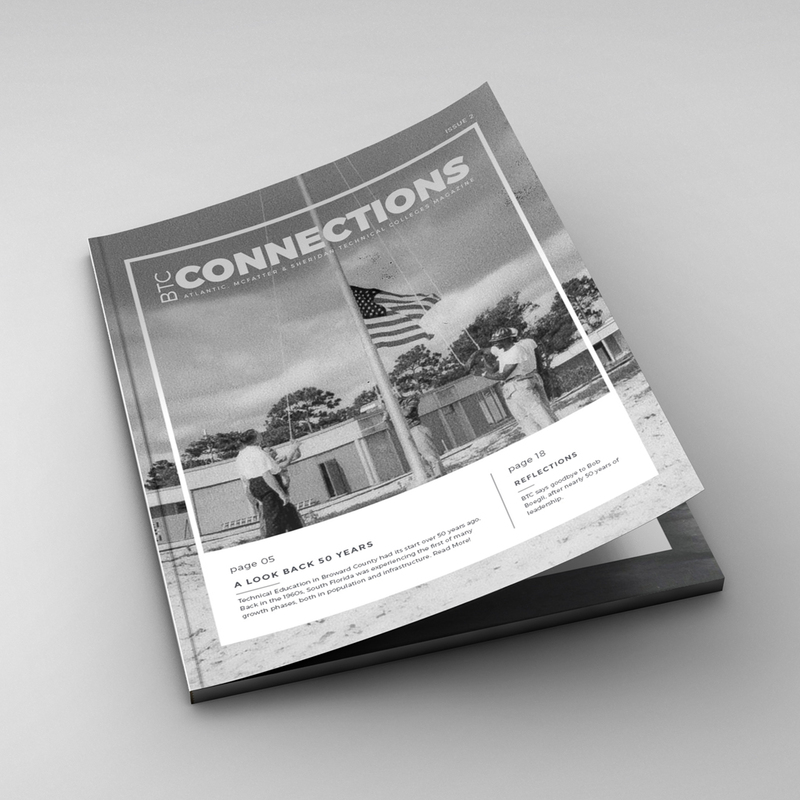 My work on this project included all of the layout designs (I used InDesign for this process) as well as some of the photography and image editing. BTC Magazine is also linked to a website which was also given to me to lay out (using a free WordPress setup). At the time of this portfolio posting, the site itself is still a work in progress.